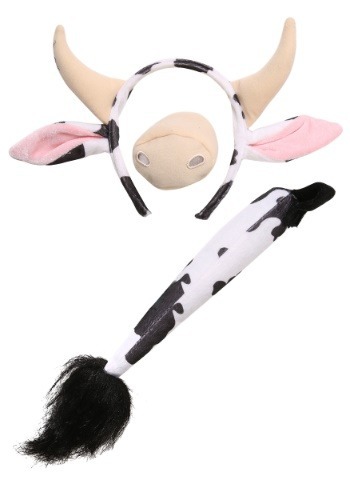 Does your little one have a hard time getting moooo-ving? Or maybe you are the one whose pace matches that of a slow-grazing cow. While everyone else zooms through life, you are content to just wander the field, taking your time to find the most tender grass, without a care in the world. That actually sounds pretty relaxing. So, aside from being completely adorable for Halloween, this Cow Ears and Tail Set may prove a quick, easy, and affordable reminder to slow down and enjoy grazing through life. You can pair it with a full cow costume or just wear it over white clothes for an easy-as-pie experience. Once you or your kid are done making a splash at Halloween, this set makes a perfect costume for a school play! It would have to be about animals of course, but really...what school play isn’t? Just don’t move so slowly that you miss the curtain call!